I was hosting with WP Engine for almost 4 years (2014-2017). In addition to four of my own sites, I also host four client sites. The performance & security has been excellent, but I’ve recently decided to re-evaluate some of the existing services I use. WordPress hosting is constantly evolving, with lots of new players entering the game, as well as many existing ones rising to the forefront. One such company I keep hearing great things about is SiteGround. If their service lives up to its reputation, then you certainly can’t be their price. For comparable performance, I can pay $11.95/mo. (promo price) instead of the $82.50/mo. I pay with WP Engine. That’s a savings of about $70/mo. ($840/yr.). Even after the first 3 years of SiteGround’s promotional $11.95/mo. price, I’m only paying $29.95/mo. I’ll still be saving about $52/mo. with SiteGround. More on the cost savings below. So, I just purchased SiteGround’s GoGeek plan for 3 years. I’ve transferred most of my 8 sites, and so far, I’m happy with the decision. In this article, I’ll cover the following topics related to why I switched, including both pros & cons of WP Engine vs. SiteGround. 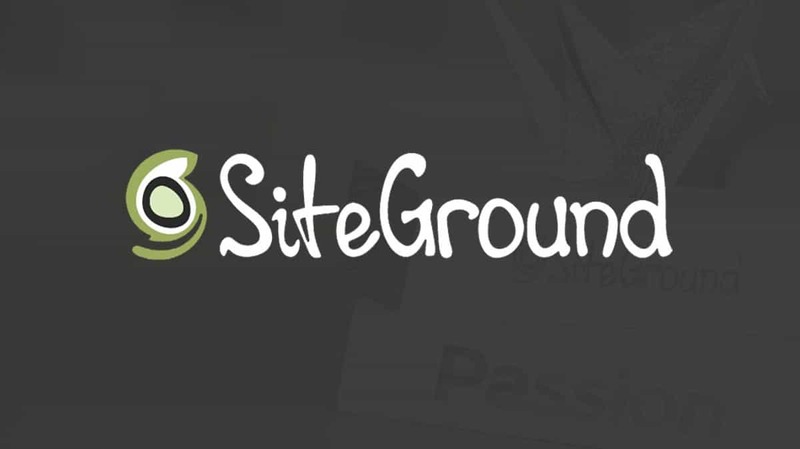 DEAL: SiteGround hosting for as low as $3.95/mo. That's 67% off! 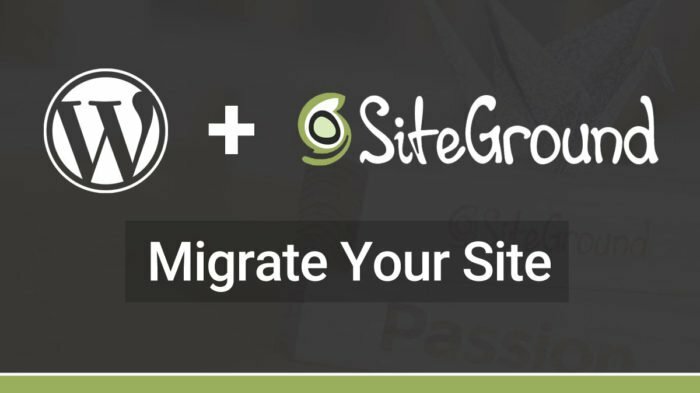 Because WP Engine does not allow many of the popular backup & migration plugins on their platform, I decided to manually migrate each site to SiteGround. It’s a bit more involved, but honestly, not all that bad. Check out the complete tutorial on manually migrating WordPress to SiteGround. Cost was the main reason I decided to switch to SiteGround. Aside from hearing great things about their platform, I couldn’t stop thinking about the difference in cost between WP Engine & SiteGround. I’m very well aware of the saying, “you get what you pay for,” and in my experience, this is often very accurate. So I went into my decision cautiously. However, I also thought about what I really needed from a WordPress host. What kind of performance do I need? How often do I contact support? Site security? Backups? The truth is that most of the sites I’m managing are fairly small sites with limited traffic. Security and backups are still definitely a priority, but in terms of performance & support, I didn’t really need much. Once I came to that realization, it was time to crunch the numbers on cost. 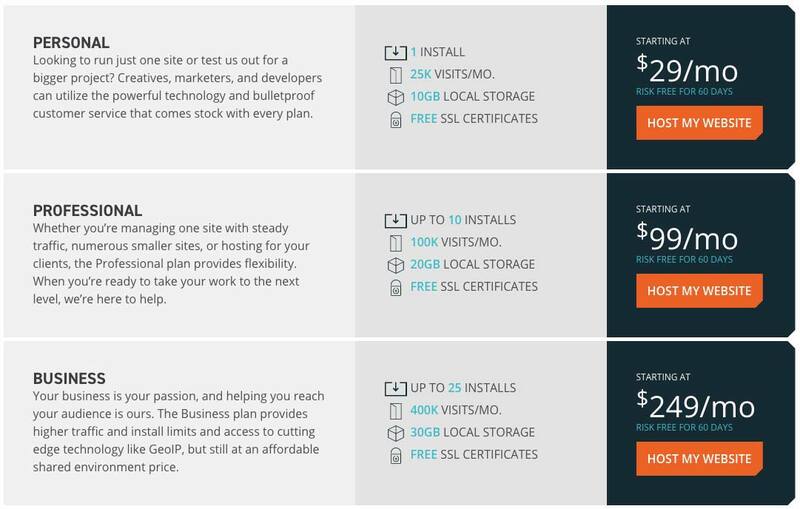 SiteGround let’s you lock in their promotional price for up to 3 years. Let’s look at what I’m currently paying at WP Engine vs. what I’ll be paying with SiteGround for the next 3 years. Current WP Engine Cost: $82.50/mo. After 3 years, when the SiteGround promotional price expires, I’m still saving quite a bit. Would-be WP Engine Cost: $82.50/mo. For any small business running a handful of smaller sites, this is a fairly significant cost savings. Now, all this is for naught if SiteGround’s platform doesn’t provide decent performance, and at least the minimum required features I need. Let’s take a look at performance. I have not run any official performance tests, but from what I’ve experienced so far, SiteGround’s performance is at least on par with WP Engine’s… if not, a little better. WP Engine uses a proprietary caching solution they call EverCache®. They don’t provide much information on the specifics, but it does a good job. My performance was always pretty decent on their platform. In terms of the websites themselves, I haven’t noticed any difference in performance. However, with SiteGround, all of my WP Admin areas appear to be running faster than on WP Engine. For anyone updating their site frequently, this is a nice perk. Support was the one area where I was consistently disappointed with WP Engine. Being a more advanced WordPress user, I always felt like I knew more than the support rep with whom I was speaking. SiteGround’s support team has been slightly better, in terms of their WordPress expertise. Chat support wait time: I’ve used their chat feature about 10 times, and have not waited more than 30 seconds for an agent to respond. That’s a pretty incredible response time. Willingness to help: WP Engine did a decent job of helping resolve my issues, but SiteGround really seems to go the extra mile. They offer to take care of everything for me. For non-technical users, this makes a huge difference. Human touch: You never get the generic greeting or scripted response. You always feel like you’re dealing with real people who genuinely care about solving your issue. My request was attended to in 30 seconds and my questions were answered in less than 3 minutes. Note that you can learn more about the person you are chatting with by viewing the staff’s profile. In this example, I was chatting with a cool dude named Nikola N. The human touch in SiteGround’s live chat system enhanced the overall experience. As I switched to SiteGround from WP Engine, I had a feeling I’d be losing a few features. But I did my homework, and for what I needed, everything was still there. Here’s a quick look into the feature comparison between them. 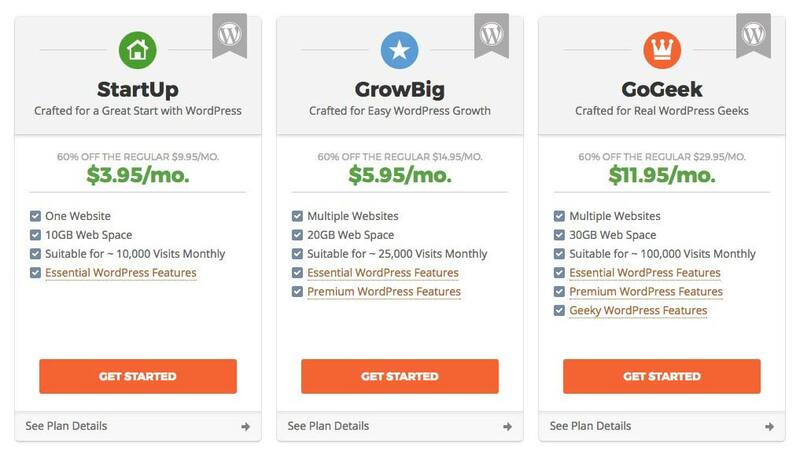 NOTE: This compares WP Engine’s Professional plan with SiteGround’s GoGeek plan. Other plan options will vary. Intro Price $3.95/mo. $5.95/mo. $11.95/mo. Renewal Price $11.95/mo. $19.95/mo. $34.95/mo. Technically, you don’t need to use a custom admin panel, specifically designed for WordPress. But I assumed that a “managed WordPress” product would not use cPanel. For the entry-level user, or anyone who has no idea how to manage a server, the cPanel interface is overwhelming. It’s manageable, but WP Engine’s interface is considerably more user-friendly for a non-technical user. If you’re looking for a completely managed, custom WordPress experience, read our Kinsta review. Those guys have built a powerhouse of an admin panel to go along with top-notch performance & support. Please keep this in mind if you decide to switch to SiteGround. Their support team will be able to help you out quite a bit, but if you like to manage some things on your own, be prepared for more of a learning curve. I’ve had my sites on SiteGround’s platform since July 2017, and am still very happy with my decision. The amount of savings is HUGE for me right now, and I even feel like I’m getting a slightly better overall experience. There was definitely some additional time spent getting everything migrated & set up, but once you take care of everything, it’s pretty much smooth sailing from there. I’d love to hear feedback from both WP Engine & SiteGround users? Are you currently a customer with one or the other? Have you used both platforms? Please me know in the comments. 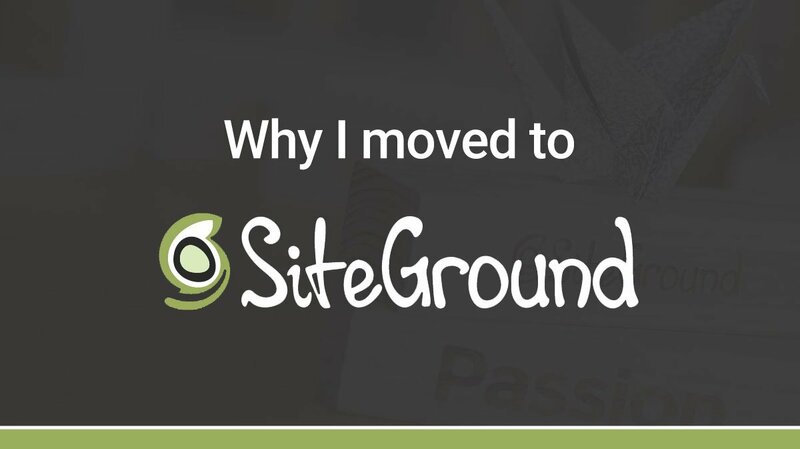 12 Commentson "Why I Switched to SiteGround (from WP Engine)"
I actually Love the fact that you get to keep cpanel on siteground. Together with the performance for the buck you get, its pretty darn good :) I usually dont like to prepay but made an exception because of the benefits. Thanks for the article. You convinced me. The only thing that had kept me from moving a small WP Engine site I’ve set up for testing (only) purposes to Siteground, where I have my main non-wordpress sites (GoGeek plan), is WP Engine’s claims that they will clean up my site for free if it ever gets hacked. I’m not sure how extensive the clean-up would be, though. Siteground only says they will monitor their hosted sites for hacking and malware, with no claims they will actually fix the site without an extra charge. The $29 month I paid (which has just gone up to $35, along with price hikes for the other plans) to WPE for hosting that includes hacked site repair seems like a good deal in that regard. 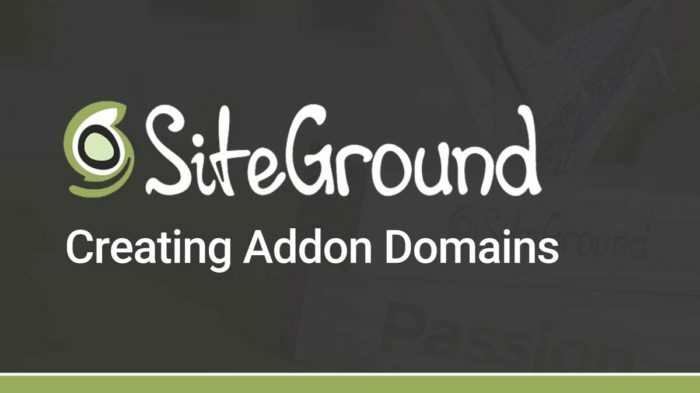 Otherwise, I LOVE Siteground, especially their staging area, because you can can have several staging areas active at once, compared to WP Engine, which only allows you to have one active staging area active at a time. Since I am in the middle of a three-year prepaid Siteground plan, I will probably wind up closing my WPE account soon and just stick with SG, being mindful of taking the usual common-sense steps to make my WP sites more secure from hackers. I definitely understand the security/malware piece, Cliff. That was one thing I never worried about with WP Engine. When I switched to SiteGround, I definitely did some extra hardening of my security. I felt I needed to take security into my own hands, instead of completely let SiteGround handle it. I’m happy to report that in 8 months, I’ve had no issues. SiteGround’s staging feature can be a bit buggy at times, and does have a few drawbacks. Not sure if you’ve experienced them or not, but you might want to check out another article I wrote, as well as a few of the comments. Real users chimed in with their SiteGround staging experience. I’m currently considering migrating off WP engine to SG. You mentioned you manually migrated your site from WP engine, so I wanted to ask some clarification questions. I was told that SG will do the migration for me for one site for free. Was this not an option at the time you signed up for SG? I was also told they have a plugin that makes migration very easy – is this one of the plugins that WP engine disallowed? I just want to know how to prepare for this migration! Thanks! Hey Matt — Sure thing. Great questions. One site migration for free: Yes, that is my understanding as well. It WAS available to me when I moved from WP Engine to SiteGround, but I actually didn’t trust them. I didn’t know their support team well enough, and from previous conversations, I assumed I would get a low-to-mid-level support tech that would go through a checklist. I would not have felt comfortable with this… so I decided to do it on my own. However, I am a bit of a control freak, so that also played into it for sure. Today… I would feel comfortable letting their team move a not-as-important site for me. You could always check it out before swapping the DNS, so there really isn’t too much risk. Automated Migration: They do have a plugin. I actually did a live walkthrough video here. At the time, it didn’t work for me. But they have said they’ve made a bunch of improvements since then (video is 5 months old). The plugin certainly has potential, but it’s hard for me to anticipate the thousands of different setups coming from other hosts, so it will never be perfect. But I’d say it’s 100% worth trying. I’m not sure if WP Engine disallows it or not. I think the SG migration plugin IS ALLOWED. Give it a go. Would love to hear back from ya on how it all goes. Good luck! …but we immediately had issues with SSL certs. The support techs identified some links that needed replacing and had me tweak a cloudflare setting. On wpengine I use letsencrypt. 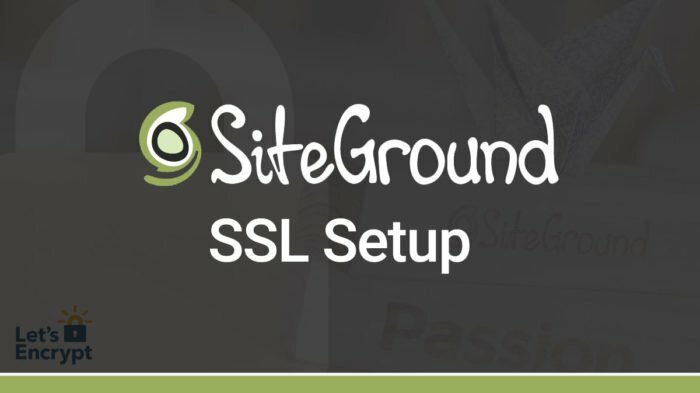 I was assured that siteground’s letsencrypt would be just as simple and easy. I was told the migration tech would set that up. Wrong on both counts. I have since discovered that their letsencrypt implementation is horribly buggy. Multiple reddit threads bemoan this ongoing issue. The migration tech setup an self-signed SSL and left it at that. So when I went in to try to set up the letsencrypt SSL, I also disabled the self-signed SSL. I did this a couple times with some slow support messages in between about various other things the migration tech was supposed to do (like put in some redirect rules into .htaccess). On probably the 4th iteration of “why the heck isn’t this letsencrypt working?” self-signed SSLs stopped working too. We have a site that requires HTTPS for all its pages AND especially to process online orders. Message support. 10-15 minute response. They pride themselves on a quick FIRST response. I make a quick change to help them fix something…. I message and open a new ticket AND make a phone call. Phone tech tells me that someone’s looking at the tickets now. Finally get a reply in one of the tickets. They assure me they’re setting up letsencrypt now. No more action on my part necessary! They will update me when they’re done installing the letsencrypt certificate! Hurrah! Our site will be functional! I go eat dinner. I go to a class thinking they’ve got my back and things will be up in a few minutes! Setting up an SSL certificate is not a 4 hour process. This is when I discover that siteground has major issues with letsencrypt having to be done manually. For some people it’s EVERY TIME. The certs don’t renew automatically as they should. That’s an unacceptable nightmare. I set my DNS records back to WPengine. I’m waiting to hear back on what the heck the problem is but based on this experience, I’m just going looking for another host. Had anyone on their end said, “oh, well, letsencrypt is sorta broken on our end and it requires us to manually do this…” it would’ve saved me HOURS of tinkering and I would’ve avoided them from the very beginning. The only good option I can see with SG is if I buy a 3rd party SSL for a number of years and then have that set…but I’m now reluctant to commit to working with siteground’s support system when they are so uncommunicative and slow with what was clearly a mission critical issue. I may have gotten spoiled by WPEngine’s support experience. Almost every time I’ve needed their assistance, things went quick. Occasionally I’d get a tech who wasn’t great, but the vast majority of times live chat was fast, prompt, and easy. Siteground’s support staff did not seem as able to understand and address issues unfortunately. I think once the SSL thing is settled, it could potentially be a good host for me, but I am really unsure of the reliability of support if/when I really need it. Oh man. Really sorry to hear about your experience. — I have had much better response times and responses in general… at least for simpler stuff. But I was a little afraid of something like this potentially happening, especially if I had a more complicated/custom setup (and not just a simple blog). The Let’s Encrypt SSLs not renewing actually happened to me a few times (about 6 months ago), and it was really frustrating. Took a few sites down for an hour or two. They assured me this was fixed, but obviously they’re still having issues with their Let’s Encrypt setup. If you have a little more in the budget, I can recommend a host that I GUARANTEE will impress you. Kinsta is hands-down the best WP host in the business. That is an affiliate link but I 100% standby everything they’re doing. I host my most important site (ecommerce + LMS) with them. I wouldn’t trust WP Engine or SiteGround with it. And Kinsta is offering free, hands-on migrations from WP Engine, for unlimited sites. Now I know you just did this with SiteGround and had a poor experience, but I’d be willing to bet 10 punches in the face that they knock your socks off with their service… and then you’ll watch your performance numbers go through the roof, as well. In my opinion, the piece of mind easily pays for their service. And it’s hard to get anywhere else. I’d love to hear where you end up. And I hope you can get it all sorted out soon. I know how stressful migrations are. I’ve moved a bunch of client sites a handful of times and it’s usually days of mindless work. Hang in there! Thanks for the recommendation. I’d seen Kinsta mentioned in other places as well. After looking closely at their offerings and WPEngine, the pricing looks VERY similar. Can you comment a little more about why you trust Kinsta specifically over WPEngine for your LMS/ecommerce setup? Did you notice speed/performance differences? We’ve been running LMS/ecommerce on WPengine pretty well. We’re just outgrowing our current plan. With either Kinsta or WPengine, that is just going to be more expensive. Without something REALLY compelling that makes Kinsta substantially better, I would prefer to not rock the boat again! Matt — Sorry for the delayed response. Speed/performance, specifically in the admin area. This allows me to create lessons, update courses, and do all my admin stuff MUCH faster. Overall performance of the front-end is also better, but if you’re going to be paying a premium on either platform, you could possibly see similar performance on both platforms. It’s impossible for me to say. But Kinsta has been faster for me on the lower plans. Support. I was teaching WP Engine’s support reps how WordPress works. It was embarrassing. With Kinsta, you get actual developers. Very knowledgeable ones. With that said, if you don’t find yourself needing much support, it might not be an issue. But Kinsta’s support is actually noteworthy. They have always gone the extra mile with me. After much hemming and hawing, I ended up going to Kinsta. So far, I have been very pleasantly surprised by their service/support. Migration went quite well for two sites. The backend speed in wp-admin is noticeably faster. I also tested mid-day US pacific time zone support responsiveness. Kinsta has MUCH faster response times. Hopefully that continues as they grow! Great to hear, Matt! Really glad they are living up to my high expectations, and providing the same performance & support to all their customers. My gut tells me you’ll be hosting with them for a long time to come 🙂.